Cheryl Esposito welcomes Rinaldo Brutoco, Founding President of World Business Academy, a nonprofit think tank focused on roles & responsibility of business in relation to humanities challenges – moral, environmental & social. He is an international leader in advancing the nature of good corporate governance, corporate accountability, & transparency. As an economics & business expert, he specializes in energy security & policy, renewable energy, finance, innovation, and climate change – the causes and adaptation strategies. Rinaldo Brutoco is certain: business for good doesn’t require sacrificing profit. He says core thinking about business must evolve, beginning with shifting consciousness of 1) business leaders: because you act differently if you think you are responsible for the result; 2) young people going into business: because you act differently in the temple than you do in the jungle; & 3) how the public votes with its dollars – putting its money where its values are: because when the public does this, business will immediately shift in response. “Well. Isn’t that special? Tell it to the stockholders.” And that is exactly what Rinaldo Brutoco is doing. 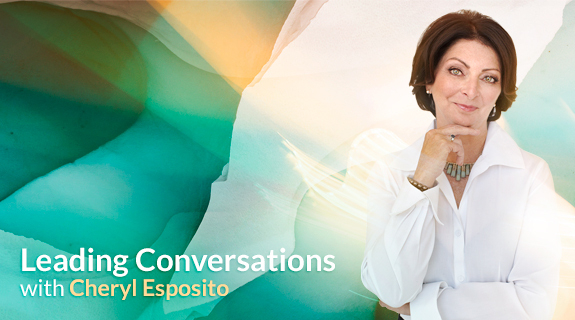 Join Cheryl Esposito with Rinaldo Brutoco to vision business as a partner in making the world a better place for all.